LIFT 2019 is just around the corner: save January 24th for another fun and meaningful night! the fact that we all feel lonely at times. We need real connections in order to thrive. And when we get together and have authentic, honest conversations and share our experiences, we no longer feel alone. That’s the kind of encouragement we’re planning for you at our next LIFT! You are not alone. Everything we do at our LIFT event this year will be to help you know that truth. Whether life is going great for you right now, or things seem pretty horrible, we want you to know that you have others around you… to celebrate with you in the good times, be there for you in the bad times, laugh, cry, have fun with, and truly connect with. We want you to be part of this night because you matter to us. Mark your calendar and get your tickets! 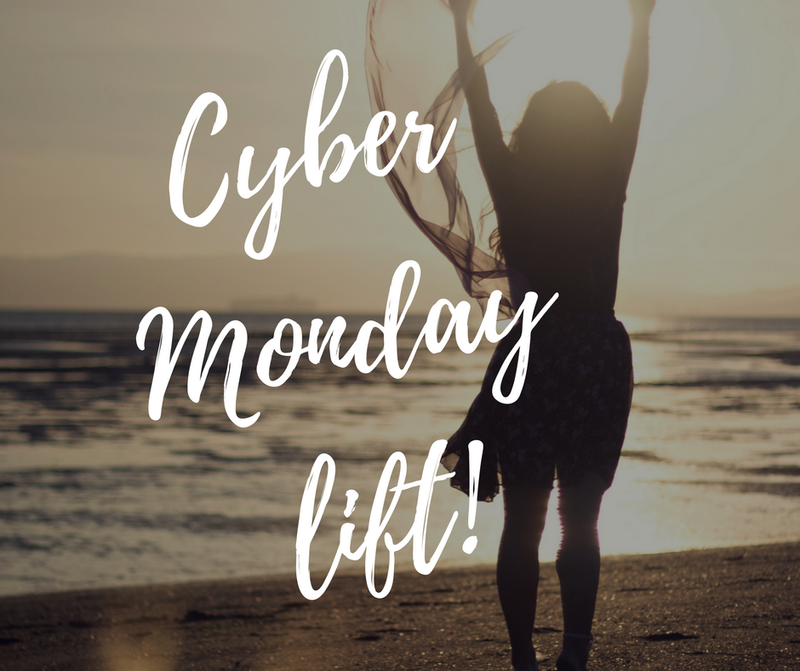 We’ll open registration in just a couple days on Monday, November 26th with our Cyber Monday sale. This is the perfect time for you to buy tickets for you and a friend. Seats will go quickly and we are only able to offer 75 tickets at this special rate, so don’t miss your chance to reserve your spot. When and where is LIFT? We’ve got lots of great things in store for you this year… and we can’t wait to share more about it in the weeks to come! Click HERE to purchase your tickets anytime after 12:00am on 11/26. *If there are still CyberMonday tickets available at the $12 price, you’ll see that as a ticketing option (if you don’t, that means the $12 tickets are sold out and you’ll need to purchase a regular ticket). No code is required; discount good only on Monday, November 26th, while supplies last.